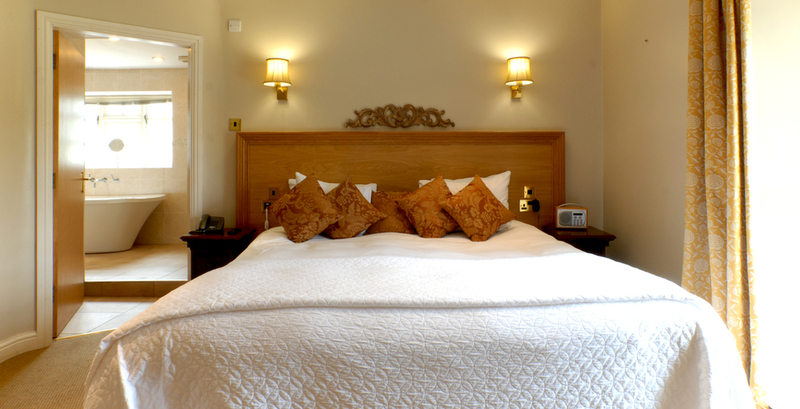 For an intimate country house hotel the facilities are quite exceptional, from the swimming pool, sauna, steam room, and hot tub on the terrace, to the lift to the 2 floors of bedrooms. The public areas are surprisingly spacious with reception area, lounge, bar and Orangery Restaurant all offering light, airy, modern spaces to relax and enjoy your time at Losehill. The lounge and restaurant furniture is also a bit special - all being hand crafted by a contemporary chair and sofa designer and manufacturer to our design by this local artisan company. What could be better after a day in the Peak District than a relaxing swim in our 10 metre indoor heated swimming pool. Unwind after a day in the hills or a sightseeing visit to Chatsworth House, a long day at work, or if you just want to pamper yourself a little with a gentle swim, a sauna, or a dip in our outdoor hot-tub and enjoy the incredible Peak District views. Why not relax and enjoy a spa day with a robe, towel and slippers, access to our indoor pool, sauna and terrace hot tub, a light lunch and tea or coffee for just £40 per person. Add in any spa treatments of your choice which are all individually priced. Discover the benefits of a relaxing sauna right here at Losehill House Hotel & Spa. Perfect for aching legs after that Peak District walk or to help you relax after a long week at work. Why not try one of our deep massage treatments or Spa Packages. Don't forget that all our resident guests can enjoy complimentary use of our indoor swimming pool, sauna, steam room and terrace hot tub. Enjoy magnificent views over Win Hill and the Hope Valley from the terrace at Losehill House Hotel & Spa. Relax in our outdoor hot-tub or on the sun loungers and enjoy a glass of something cool or afternoon tea as the sun goes down - a real joy in all seasons. Our Orangery Restaurant has a great menu, specially prepared using the very best local and seasonal ingredients. Listed as one of The Times' '20 best wild places to eat in Britain', we offer a daily changing a-la-carte Dinner Menu, with a selection of delicious homemade dishes each evening including various vegetarian options. The cost is £45 per person for a delightful 4 course evening menu. Click here to see a sample menu. Ideal for small groups of up to 12 guests, our private dining room with its original Arts and Craft period features and wonderful bay window is perfect for that special occasion or business lunch. These wet facilities at Losehill House Hotel are complemented by a suite of spa treatment rooms where you can enjoy an extensive range of spa treatments using luxurious Thalgo products. The Spa is open for residents and non-residents 7 days a week (subject to availability i.e. closed for private functions). Please contact us on 01433 621 219 for more information and to make an appointment with one of our therapists. Click here for information about our spa breaks. Click here to contact us. Relax in the Hotel's sumptuous lounge and bar or terrace for pre-dinner drinks and take in the spectacular uninterrupted views of the Peak District National Park. We offer local real ale from the Bakewell based Thornbridge Brewery and a range of beers and lager on tap. We have an excellent wine list and a comprehensive selection of malt whiskey, spirits and liquors. The Moorgate suite is ideal for a larger private dining experience, a civil ceremony or wedding reception, a party, or mini conference and ideal for small groups of up to 40 guests. Situated in the heart of the Peak District National Park, there's a wealth of sights to see within easy reach of the hotel. From the magnificent house and gardens of Chatsworth, to the Medieval splendour of Haddon Hall, the caves of Blue John and the villages of Hope and Castleton. Abandon the car for the weekend or enjoy a gentle walk from Lose Hill to Mam Tor or across the valley along the Roman road bridleway to the summit of Win Hill, and take in the magnificent views of the Vale of Edale and the Ladybower reservoir in the other direction. Climb boldly on Stanage Edge, explore the local cave network, go paragliding, ballooning, or clay pigeon shooting. Avoid the crowds on foot in Monksdale or discover a cycle route complete with newly opened tunnels on the Monsall Trail. 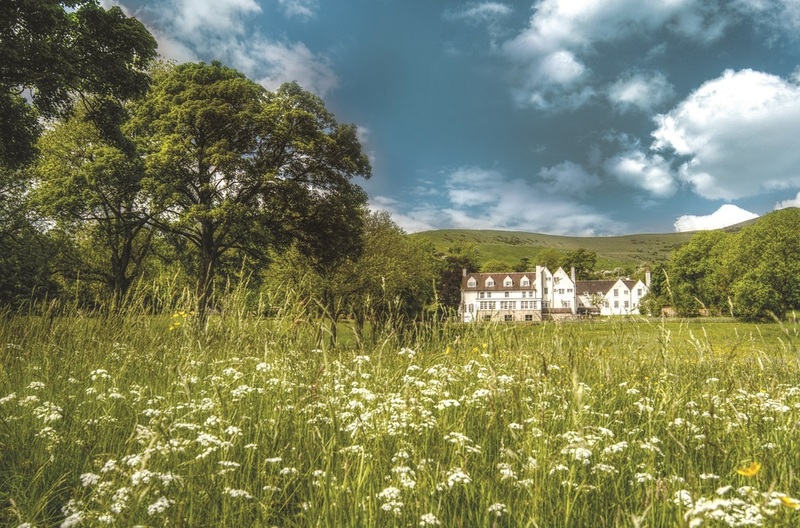 Whatever outdoor activity you're into, it's on your doorstep when you stay at Losehill House Hotel and Spa. Click here for information about our activity breaks.